Dr. Latham is an Associate Professor of Biology & Anthropology and serves as the Director of the Molecular Anthropology Lab and the Co-Director of the Archaeology & Forensics Laboratory. A Board Certified Forensic Anthropologist (D-ABFA), she currently serves as a Consulting Forensic Anthropologist for police, coroners and pathologists in the Midwestern United States and has delivered numerous lectures for state and local agencies around the country. Dr. Latham also serves as a DNA Expert in the U.S. Federal Court System. Dr. Bartelink is an Associate Professor of Physical Anthropology and serves as the Director of the CSU-Chico Human Identification Laboratory (CSUC-HIL), the Stable Isotope Preparation Laboratory (SIPL), and co-coordinator of the Certificate in Forensic Identification. He is a board certified Diplomate of the American Board of Forensic Anthropology. In addition to teaching undergraduate and graduate level coursework in introductory physical anthropology, human osteology, forensic anthropology, bioarchaeology, human growth and development, and statistics, his is a certified instructor for POST (Peace Officer Standards and Training), and teach short courses and workshops in forensic anthropology, forensic archaeology, and human versus non-human bone identification. He is also a forensic specialist for California’s NamUs team (National Missing and Unidentified Persons System). Dr. Finnegan is Professor Emeritus of Anthropology, at Kansas State University, and one of the nation's leading forensic anthropology experts. In 2005, he was named a Distinguished Fellow of the American Academy of Forensic Sciences. He holds a Ph.D. in Anthropology from the University of Colorado and held a postdoctoral fellowship at the Smithsonian Institution, studying paleopathology and non-metric variation for population studies and forensic science application. He is a Fellow and past Vice President of the American Academy of Forensic Sciences; a Diplomate, and past President, of the American Board of Forensic Anthropology and is a recipient of the "Kansas Attorney General's Certificate of Merit" in recognition of outstanding service rendered to law enforcement in and for the State of Kansas by a private citizen. 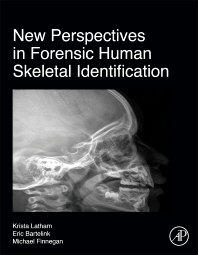 He has published numerous articles on theory, method and application of osteological analysis in population studies and forensic applications. He has conducted research in Africa, Australia, the Middle East, Southeast Asia, and Europe, as well as various areas of North and South America. Dr. Finnegan is a recipient of the "William L. Stamey Teaching Award" in undergraduate instruction, the "John C. Hazelet Award" as the outstanding member of the Kansas Division of the International Association for Identification, the "Bartucz Lajos Award" from Jozsef Attila University and the "T. Dale Stewart Award" from the American Academy of Forensic Sciences.